Reddit user Jibble666 shared an image of the USD$43 BJORKSTA world map to r/MapsWithoutNZ — a subreddit dedicated to collecting the frequent instances where New Zealand is left off world maps — on Thursday after spotting the mistake in a Washington D.C. Ikea outlet store. "Ikea's map game is not on point," the user wrote. In a statement to the BBC, an IKEA spokesperson apologized for the blunder and vowed to take “necessary actions” to correct the issue. "Ikea is responsible for securing correct and compliant motifs on all our products," the spokesperson said. "We can see that the process has failed regarding the product BJÖRKSTA world map - we regret this mistake and apologise. We will take the necessary actions and the product is now being phased out from our stores." But the inaccurate map remained on the company’s website as of Sunday afternoon. Ikea did not immediately respond to Newsweek’s request for comment. The error comes less than two months after the Swedish retailer announced its plans to expand into New Zealand. 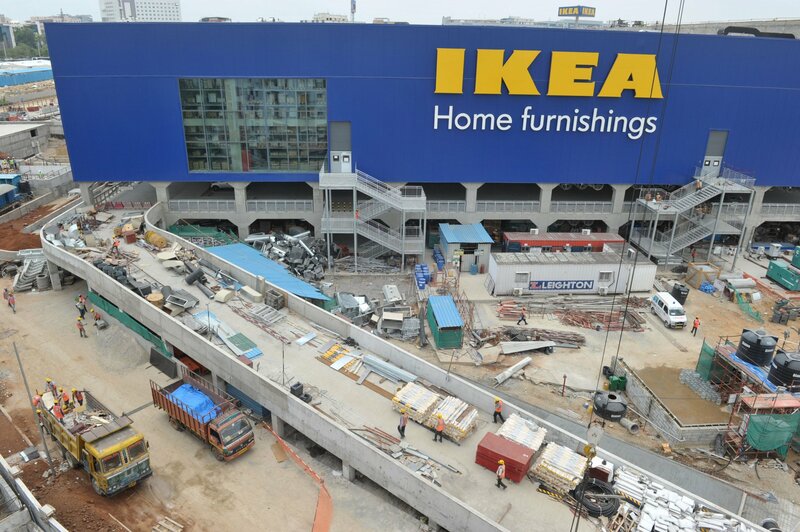 In December 2018, Ingka Group, Ikea’s largest franchisee, obtained exclusive rights to explore an expansion into the island nation. "We aim to make IKEA fully accessible, including stores and ecommerce,” Tolga Oncu, the retail operations manager for Ingka Group, said in a statement. “We see this as a long-term commitment and investment in New Zealand, building relationships with customers, suppliers and future co-workers." A few weeks later, the Swedish furniture giant confirmed it will be launching a megastore in Auckland with 7000 products and a restaurant, without offering any details as to where the location will be and when it will be arriving. New Zealand is often mistakenly left off of world maps sold around the globe, a frustration that has continuously plagued Kiwis throughout the years. In 2018, the country’s Prime Minister Jacinda Ardern and Flight of the Conchords comedian Rhys Darby created a video to address the issue entitled #GetNZonthemap. "New Zealand, where the bloody hell are ya?" Darby says to Ardern in the video. "New Zealand is being left off world maps, around the world. This is a major conspiracy."